In Canada, it became apparent as early as 1970 that the desire for Unitarian life ceremonies and rites of passage far surpassed the availability of Unitarian Ministers. The Lay Chaplaincy program was developed to meet this need for the general public. Lay Chaplains are chosen by their congregations to perform ceremonies and rites of passage and are officially licensed by the government to perform legally binding marriages. Today, Unitarian Lay Chaplains across Canada conduct some 1,000 rites of passage each year for members of the community at large. Lay Chaplains are appointed by the congregation for two-year terms, renewable to a total of six years. flexibility as to the location of service, be it in the Unitarian Church, a chapel, or in a more informal venue. Rites of passage services for Calgary Unitarians members are conducted at no charge by our minister. Beverley (Bev) Webber is a retired nursing attendant. She has been an active member of the Church since 2001 and won the Panabaker Award for extraordinary services in 2014. She was appointed by the congregation in December 2015 to be Lay Chaplain. Bev looks forward to working with you to design a wedding, memorial or child dedication service that reflects your unique spiritual expression, by incorporating elements that speak to you deeply and reflect the feelings you most wish to convey to your loved ones and guests in a rite of passage that is your own. She is also available for many other services which could include renewal of vows, end of friendship, new home blessing, divorce ceremonies, and coming of age. Bev is married with two children and two grandchildren. 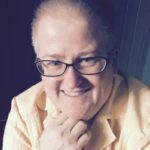 Lynn Nugent has been an active member of the Calgary Unitarians since 2002 and has extensive experience with creating and leading services. 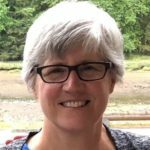 She was appointed as a Lay Chaplain by the Calgary Unitarian congregation in December 2018. Lynn is a certified Life-Cycle Celebrant, trained by the Celebrant Foundation and Institute. She believes in honouring life’s special occasions and transitions through personalized ceremonies such as weddings, memorials, baby naming and blessings, retirement, house blessings, end of relationships, and more. Lynn will work with you to create a ceremony that reflects your beliefs and tells your story. Lynn has trained as a healing touch practitioner and has a background in interfaith studies and world religions. Lynn is married and has three adult children. Lay Chaplains may negotiate fees with those who can’t afford the suggested fees or those who would like to offer more. Email the Lay Chaplains or call the church office at 403-276-2436. For prices and information about facility rentals, please see the Facility Rentals page. To view availability for booking rooms in the church, please see our Church Calendar.